View cart “Cort M200 Electric Guitar” has been added to your cart. Everything you need to get playing from one of the biggest names in the guitar world. 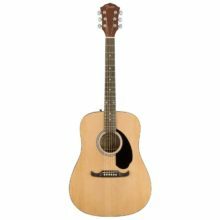 This pack includes a Fender FA-115 Steel String Acoustic Guitar, padded bag, strap, clip-on tuner, spare strings and picks. Save $100! The picks differ from the picture, in reality they’re black. Everything else is as pictured. Categories: Acoustic Guitars (Steel String), Guitars. Squier Affinity HSS Stratocaster Electric Guitar Candy Apple Red with free bag!